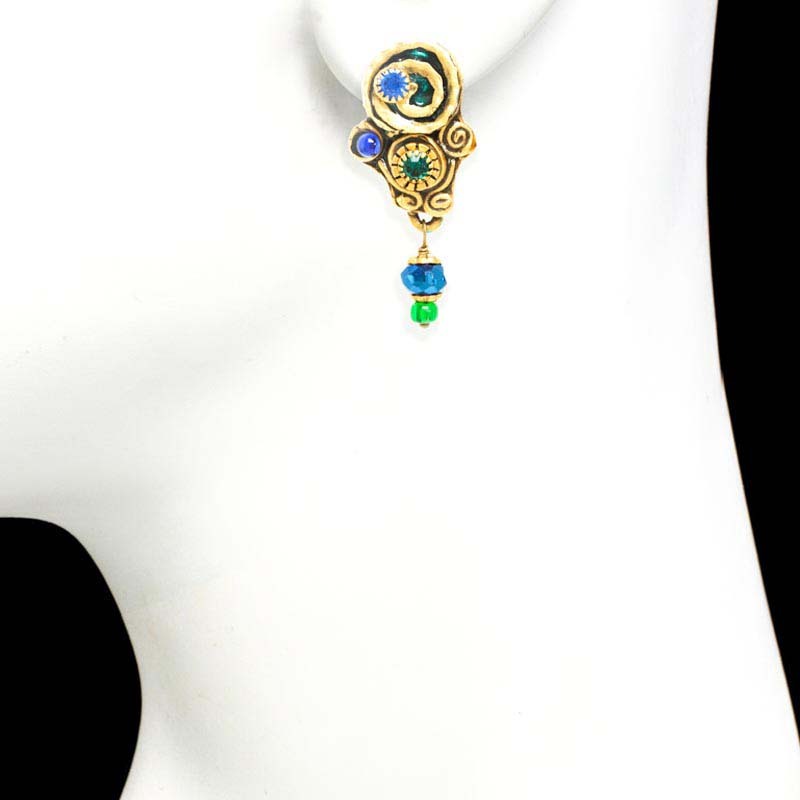 Sculptural and creative earrings. Swirling golden post has an original handmade look. 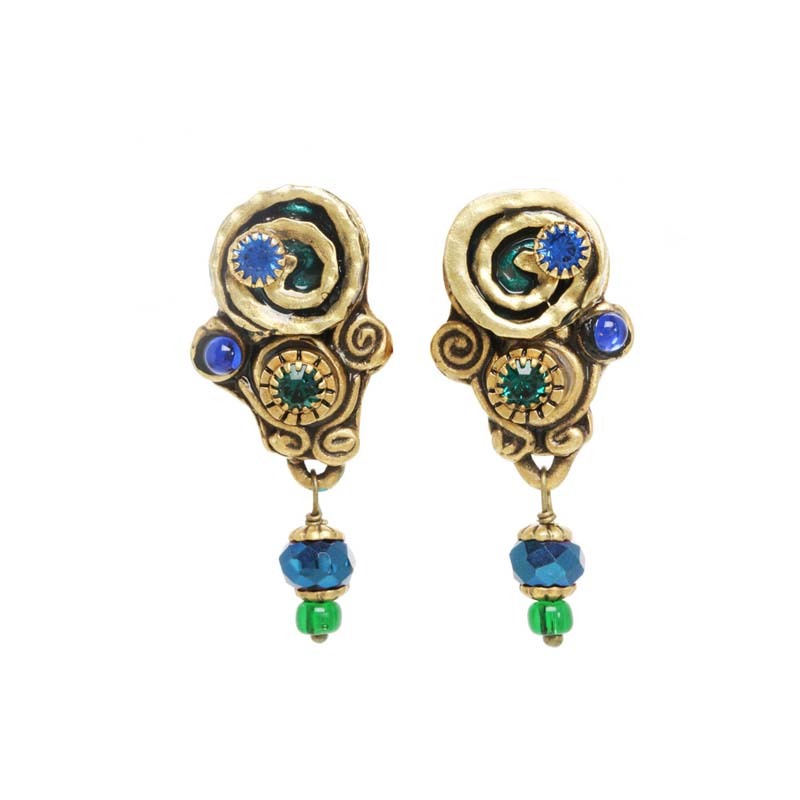 Blue and green bead dangle gives these charming earrings movement.